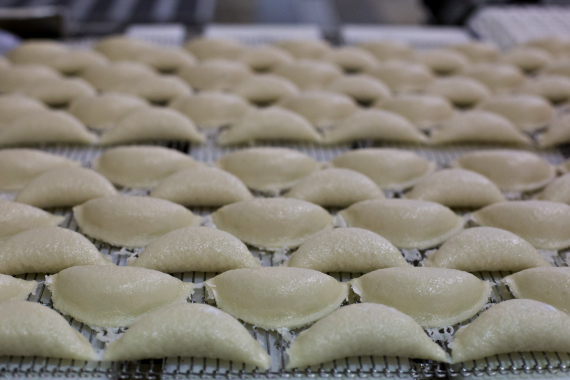 Leading Canadian perogies manufacturer leverages product authenticity and technological competence to remain on its fast-growth trajectory. Heat and Control Canada Inc.
Stuffing a dough with various delicious ingredients before cooking seems to be a global phe­nomenon: from Chinese dumplings, gyoza in Japan, ghoogra in India, to ravioli in Italy and maul­taschen in Germany, to name just a few examples. But despite our familiarity with such foods that have long cultural heritages, in North America, at least, such tasty food fare is still in its relative infancy, becoming exposed to the general non­ ethnic population only about 40 years ago in the form of the eastern European­ style perogy. Essentially a semi­circular dumpling that is first boiled and then either fried in butter and onions or baked, this staple of eastern European cuisine is traditionally stuffed with potato filling, sauerkraut, ground meat, cheese and spices or, in the case of dessert perogies, filled with fruit. Whatever the stuffing, one Canadian manufac­turer can perhaps be considered a true culinary pioneer in bringing perogies to the general population of the country, even though it is about 200 kilometers away from the world’s largest perogy—a nearly 25­-foot high statue and roadside attraction in the village of Glendon, Alta. From left: Heritage Frozen Foods assistant production manager Derek Krausher, president and chief executive officer Joe Makowecki, and operations manager Casey Marchand. Founded in 1972 by Walter Makowecki, Heritage Frozen Foods Ltd. is headquartered in Edmonton in a state­-of­-the­-art 80,000­-square­-foot facility with 85 to 100 employees capable of creating some three million perogies a day, perhaps proving that size in sales matters more than the size of a tourist attraction. 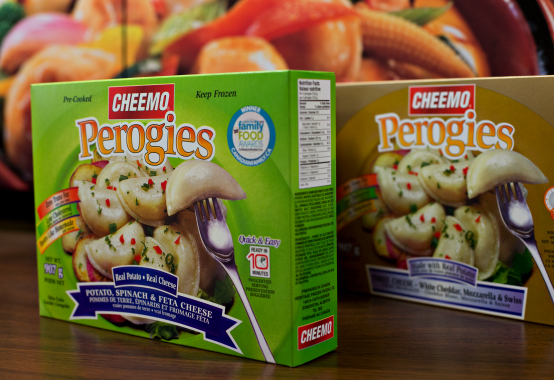 Better­ known to consumers via its CHEEMO brand name, the perogies manufactured by Heritage Frozen Foods are all pre­cooked and flash­-frozen to lock in the flavor for each of the brand’s 12 different flavor varieties. Two of the 12 perogy flavors manufactured under the flagship CHEEMO brand label by Heritage Frozen Foods at its 80,000-square-foot production plant in Edmonton. Walter Makowecki’s parents emigrated from the Ukraine to Canada, and thanks to his cultural heritage, perogies were a staple on the dinner table, usually made by hand by his mother. 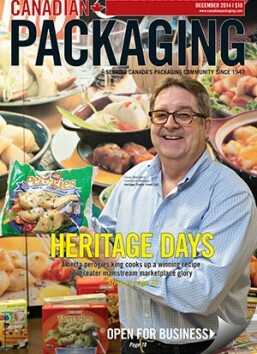 “When my father was looking for a business ven­ture back in the early 1970s, he noticed that women were beginning to enter the workforce in greater numbers, which he surmised to also mean there was now less time for meal preparation,” current Heritage Frozen Foods president and chief executive officer Joe Makowecki told the Canadian Packaging magazine in a recent interview. “My father saw this as an opportunity to provide perogies as a quick and convenient value­ priced meal option for busy families,” recalls Makowecki. The problem that Walter Makowecki and his family had, however, was how to introduce the non­-immigrant families to perogies. “In the early years of the business, the whole Makowecki family would load up the family car and drive to numerous fairs and rodeos throughout the Canadian prairies, providing taste samples and selling the perogies in places where prior to their arrival had never seen or even heard of perogies, let alone tasted one,” Makowecki relates. 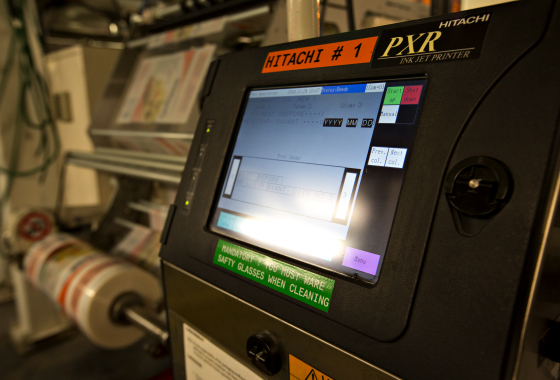 One of three Hitachi PXR-D260w continuous inkjet printers used by Heritage Frozen Foods purchased through local packaging equipment distributor Harlund Industries. Right from the beginning, Walter Makowecki had branded his perogies as CHEEMO, an Inuit greeting that means ‘We are friendly.’ As well, the term ‘cheemo’ was still being used as an exclusive Canadian greeting, helping to celebrate the 100th birthday of the nation in 1967. As Makowecki explains, when his father chose CHEEMO as a brand name, he believed he would ‘Canadianize’ the perogy, and one would be hard­ pressed to say he didn’t. The company’s first major retail sale was to a Woodward’s store in Edmonton, where over a one-­week period the retailer sold almost an entire trailer-­load of perogies. 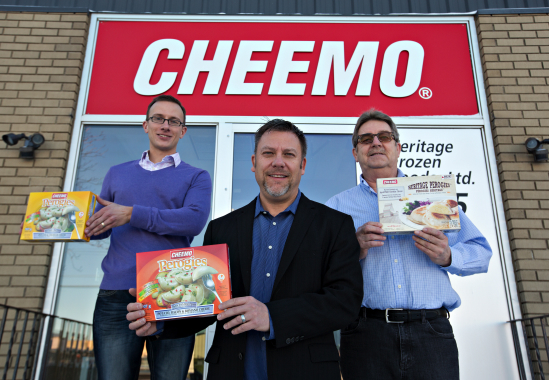 Nowadays, CHEEMO brand products can be found in most grocery stores and food departments of major national retailers right across Canada, though the company also manufactures perogies for both the foodservice and private­-label markets, such as co­ packing the Compliments brand on behalf of Sobeys. 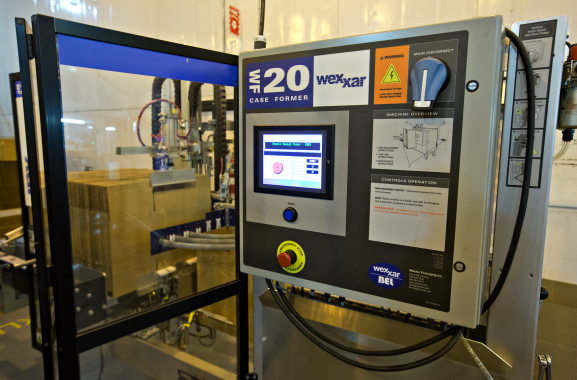 One of four easy-to-operate Wexxar WF-20T fully-automatic case erectors sold to Heritage Frozen Foods by Harlund Industries, capable of forming up to 20 case per minute. 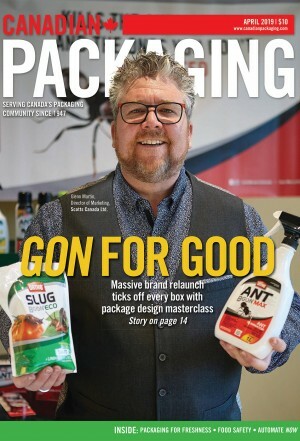 Heritage Frozen Foods boasts some 108 SKUs (stock-keeping units), featuring its top­-selling CHEEMO Potato & Cheddar Cheese available in 907­ gram packs and the two­ kilogram family sizes. And, along with the standard size perogy, Heritage Frozen Foods also offers a 907­ gram pack of Bite Size featuring the Number­ One selling perogy flavor. Other perogy recipes produced by Heritage Frozen Foods include: Potato, Bacon & Romano Cheese; Potato & Cottage Cheese; Potato & Onion; Three Cheese – White Cheddar, Mozzarella & Swiss; Potato, Spinach & Feta Cheese; Potato, Sour Cream & Chives; Country Mushroom; and Ukrainian Style Roasted Garlic. Under the CHEEMO brand the company also offers its Heritage Perogies featuring: Harvest Potatoes with Aged White Cheddar Cheese; and Harvest Potatoes with Farm Style Cream Cheese and Savoury Dill. Thanks to the efforts of Walter Makowecki and Heritage Frozen Foods, the humble eastern European perogies are now part of the Canadian dinner table, with CHEEMO perogies having been selected by readers of Canadian Family magazine as their Number One choice of frozen food entrées for an impressive four years in a row. The process for making perogies is essentially the same as it has always been—mixing wheat flour to make dough, mixing raw materials and ingredi­ents, extruding dough and ingredients into form. However, Makowecki says it’s the care his company takes in only using the best and freshest ingredients that is the real key to the company’s continued success amongst the consumers. Given the company’s moniker, it is not one to forget its own cultural heritage, but according to Makowecki, the company’s Canadian roots are also part of that cultural landscape, as evidenced by Heritage Frozen Foods support for Canadian farmers. Says Makowecki: “We are quite proud that CHEEMO perogies are made using natural ingredi­ents such as fresh potatoes, quality cheeses, tangy onions and other garden vegetables—all from Canada. “Our family truly appreciates the work of the farmers and our suppliers that goes into supplying us with the high ­quality ingredients we need to make our perogies. “You can’t have a great tasting product without great ­tasting ingredients,” Makowecki proclaims. 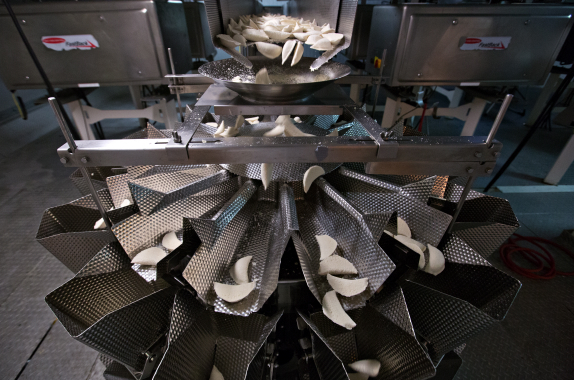 Heritage Frozen Foods, which claims pioneering roots in bringing perogies to the attention of the Canadian public, typically manufactures some three-million perogies a day. 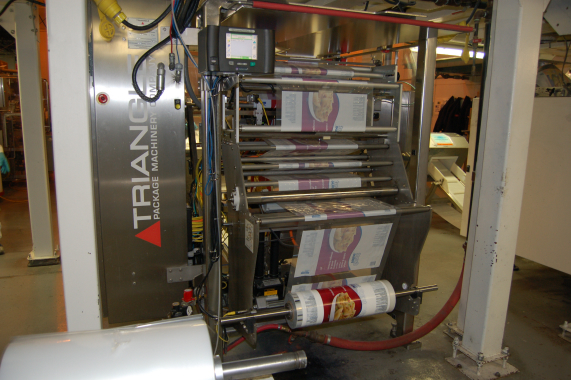 Heritage Frozen Foods has also taken to proudly waving the maple leaf in its packaging operation with multiple machines purchased from Harlund Industries Ltd., a 100­percent Canadian­-owned company specializing in the supply of coding and identification systems. Incorporated in Edmonton in 1983 by Mert Eklund and current company president Bruce Hartfelder, Harlund Industries with its amalgamated moniker is well­-known for bringing some of the very first CIJ (continuous inkjet) printers into Canada. 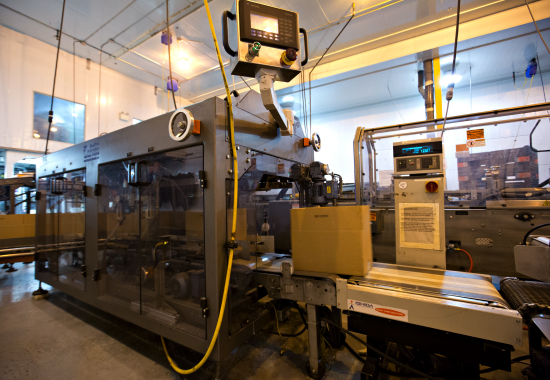 Operating sales and service facilities in Toronto, Montreal, Vancouver and head office in Edmonton, Harlund Industries supplies a complete line of pack­ aging technology including coders, print­-and­apply labeling systems, and case-­erectors from a host of strategic partners, including FoxJet, WEXXAR/Bel, Hitachi, ID Technology, Little David, EASYPRINT A/S and MicroScan. The Ishida RS-214W-S/30-PB multihead scale manufactured by Heat and Control carefully weighs out pre-determined portions of perogies before dispensing them below into the model XM15PR vertical form, fill and seal flexible film bagger (picture below) manufactured by the Chicago-based Triangle Package Machinery Co.
“We’ve actually been involved with Harlund Industries for over 20 years,” explains Heritage Frozen Foods operations manager Casey Mar­chand, who is directly involved in capital expenditures. 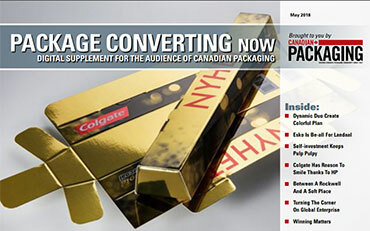 “Their knowledge and expertise in their field has provided good counsel for our packaging and case coding solutions. 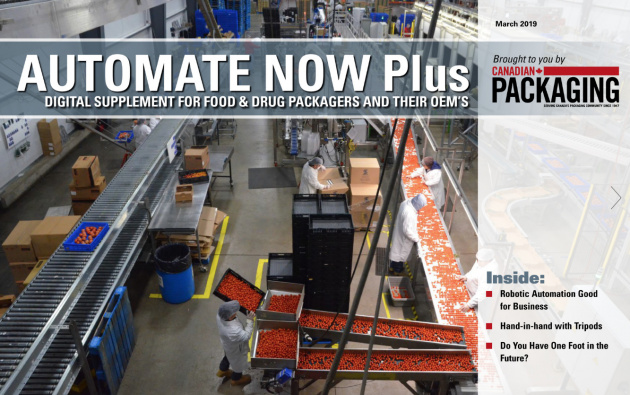 A BluePrint Automation case packer provides secondary packaging automation at the state-of-the-art Heritage Frozen Foods facility while an Ishida scale from Heat and Control ensures proper packing weight of each filled corrugated carton. Four PXR-D260w continuous inkjet printers providing two lines of code with 65­micron noz­zles, and one PX-D260u inkjet printer—all manu­factured by Hitachi. According to Marchand, three of the PXR-D260w coders remain part of the company’s daily production line machinery. Heritage Frozen Foods runs its production line five­ days-­a­-week, 24-hours­-per­ day non­stop, and as such relies quite heavily on the equipment supplied to them via Harlund. 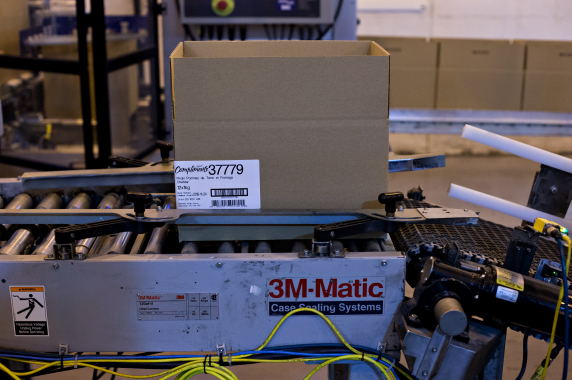 Also supplied by Harlund Industries, a FoxJet model LS6000 printer-applicator quickly attaches a corner label onto a carton just before it is verified a Cognex vision system. The Hitachi PXR series of inkjet printers can provide standard, small­ and large­-character type, and is described as user-­friendly, with an easy-­to- operate TFT (thin­-film transistor) liquid crystal touch screen display with full on­screen guidance. The PXR-D260w Hitachi printers utilize an eco­logical ink system that minimizes vapor emissions and offers a wide range of adjustment possibilities to ensure that no matter the job, high-­quality print is always achieved. The unique ink circulation system of the Hitachi industrial PXR series continuous inkjet printers also reduces typical fluid usage by 50 per cent, contributing to lower solvent emissions. 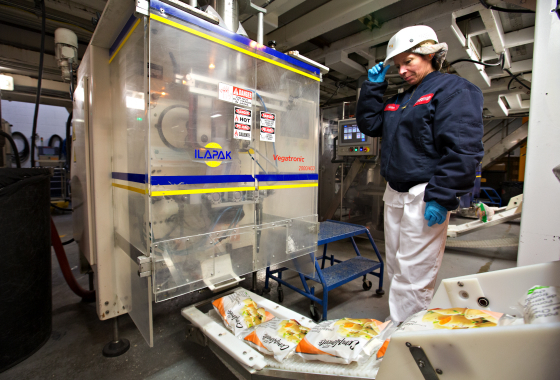 The Vegatronic 2000/400P flexible film bagger manufactured by ILAPAK feeding freshly-filled bags of Compliments perogies onto the incline transfer conveyor. 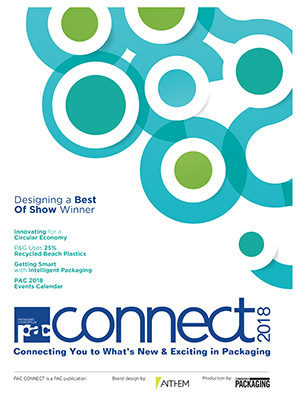 Besides minimizing the fluid wastes, these continuous inkjet printers offer higher component reliability and MTBFR (mean time between failure rates), which essential means owners will real­ize a better ROI (return­ on­ investment). Another set of equipment purchased from Harlund Industries are the complete FoxJet label systems. According to FoxJet, an ITW Company, the LS6000 are capable of running at speeds up to 110 units per minute. 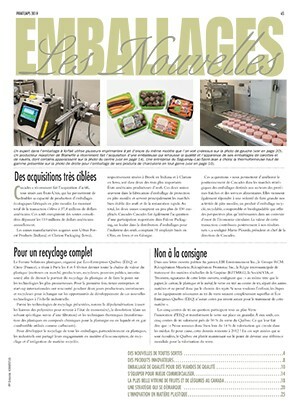 “At Heritage Frozen Foods, we use the LS6000 to print labels and apply them with a corner­-wrap applications,” explains Marchand, noting that a pivoting pad on the system allows it to conform and apply to irregular surfaces as well. For the operator, the LS6000 features a rotating three-­color LCD (liquid crystal display) touch­ screen interface, that Marchand says is not only easy to use, but is also easy to learn. The Wexxar WF-20T is a fully­-automatic caseformer/erector featuring Wexxar’s pin and dome technology that has, for the past 25 years, become the standard for customers looking for high­-quality output and maximum up-time. In pin and dome technology, as a flat case blank is injected into the two facing plates, the pins go into the flutes while the dome pinches the corrugated tightly. The two plates then open to 90 degrees to perfectly square the case. Since no compressed air is used in this process, it greatly decreases contamination and is more durable than vacuum cups which can clog and wear. Now available in mid-­speed and mid­-range pricing, the WF-20T is ready-­to­-run without the need of tools or the prototypical telephone book instruction manual. “A color­coded, tactile guide on the operator screen provides a more efficient, user­-friendly set­up for operators,” notes Harlund, adding that changeover can be achieved in less than five minutes. The WF-20T can erect and construct cases at a rate of 20 units per minute, ranging in size from: seven­ to 22-­inches in length; six­ to 17-­inches in width; and six­ to 34-­inches in height. The WF-20T are built fully-guarded from in­-feed to out­-feed, with interlocked safety guarding through­ out the machine, with easy to reach emergency palm switches located on both sides of the machine. After traveling via a conveyor powered by a Baldor Electric AC motor, a case of perogies heads to the model 3M-Matic case-sealing system manufactured by the 3M Company. 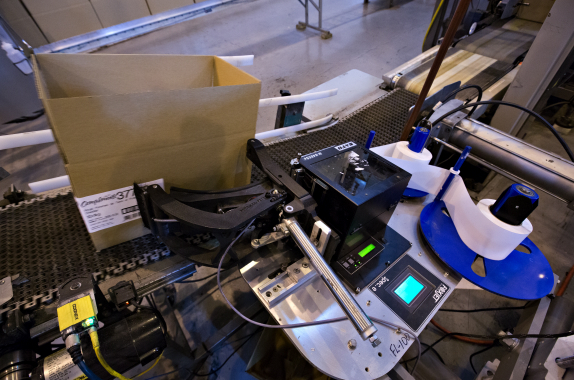 Cognex machine vision systems placed near the FoxJet LS6000 label printer­-applicators to ensure the labels are placed perfectly on the car­ton corners. 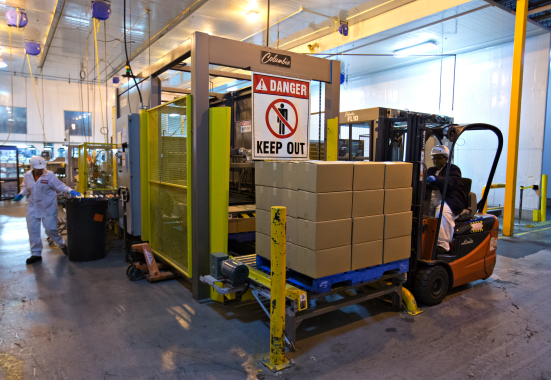 A model FL-100 floor-level palletizer manufactured by Columbia Machine, Inc. is used to form and stack stable layers of cartoned product onto the wooden shipping pallets. The Heritage Frozen Foods facility is BRC (British Retail Consortium)­-audited for A­-grade certification, a fact that keeps the company on its toes looking for ways to continually improve the way it operates. A few years ago, the company purchased several Segways—two­-wheeled, electrical personal transports—to not only provide physical relief to production personnel, but to allow them to move quicker between the administration area and the produc­ tion floors, saving considerable time in responding to day­to­day matters. He says that this approach led to Makowecki being selected last year as EY’s Prairies Entrepreneur of the Year for the manufacturing sector. Summing up, Makowecki says:, “Dad believed that a family of five should be able to enjoy a healthy nutritious meal for under $5.00 and that top­-quality perogies could be a good low-­cost part of the meal.